No flying for the Wednesday boys but Phil moved the Progress Group to Thursday and they managed to squeeze in 16 launches in the evening (that included several training launch failures – well, this is the “progress” group). On a positive note – 26 launches, but when the longest flights were 33 and 18 minutes this was hardly summer flying. One of those “interesting” days that adds to ones life experiences (i.e. difficult strong cross-wind day). 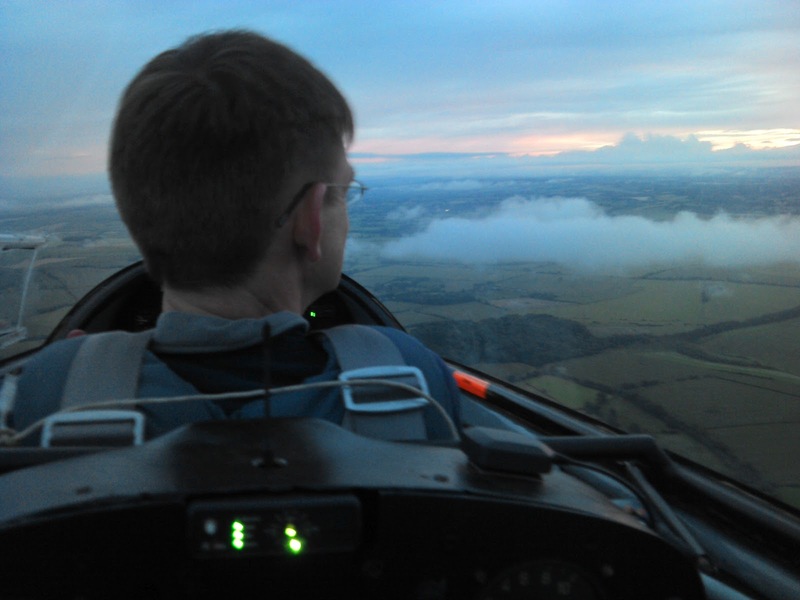 Mainly circuits with a few extended flights. Outstanding flight of the day was a 43 minute one from Chris K taking the the duty instructor along for ballast – lots of laughter on that flight. The Progress Group discovered just how much circuits may need to be modified with high final turns and landing across the runway.